This listing is for a high pressure diesel pump. All in good condition and perfect working order. Removed from a 2010 Mazda 6. Also suitable for other makes and models but please check the pictures and part member's. Postage listed is for the u.k mainland only. Mazda 626, 2.0td, 2002reg, Diesel Pump . Condition is Used. Dispatched with Other 48h Courier. New updated pump as sold by MazdaRotaryParts. It has been fitted to the original housing and has been tested and works fine. Was fitted to a car which was scrapped before ever turning a wheel sadly. Part Number : P53T13350. NEW Genuine Mazda Parts from Mazda Main dealer. For Sale:-Mazda 6 2.0cc High Pressure Diesel Pump with part number:- RF5C13800A & 2940000044. Fits:- Mazda 6 2.0cc Diesel models made from:- 2002 to 2008 with part number:- RF5C13800A & 2940000044. High quality products at amazing prices. THIS ITEM HAS BEEN REMOVED FROM MAZDA 6 2006 2.0 DIESEL. All parts are security marked; these markings include permanent marker pen and infra- blue marking. For Diesel Models 2008-2012 MK2. Fuel Sender in the Tank. Will fit Facelift models 2005-2008 143 bHp. Genuine Fuel Pump Denso. 2.0 Diesel. Mazda 5 and 6. AND WE WILL DIRECT YOU. IN DOUBT WHETHER IT WILL FIT?. MAINLAND24 HRS. (incl: NORWAY & SWITZERLAND). Part Number: 2940000422. Injector Pump. 2009 Mazda 6 2.0 diesel. Year: 2009 Fuel Type: Diesel. Make: MAZDA Transmission: 6 Speed. This has been taken from a 2009 6 but may suit other models. MAZDA 5 / 6 2.0 DIESEL HIGH PRESSURE FUEL INJECTION PUMP. IN GOOD CONDITION AND FULL WORKING ORDER. Here we have a fuel pump and sender unit from a 1997 Mazda Bongo 2.5 V6 Petrol in good working order. VEHICLE REF: DU09. THIS DOES NOT INCLUDE NI, ROI, HIGHLANDS OR OFFSHORE ISLANDS. MK2 SG 2.5 Diesel Automatic. Injector Pump (High Pressure). 2.5 Diesel, Engine code WL / WL-T - Bosch Make - In good working order, removed from a running vehicle. This part was removed from a Right Hand Drive Vehicle. PART NUMBER 101962 0391. 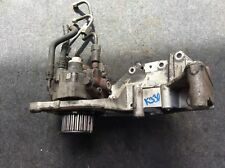 MAZDA 5 1.8 & 2.0 PETROL ELECTRIC IN TANK FUEL PUMP & SENDER UNIT. ENGINE CODE: L3K9 L3-VDT 16V DOHC 2.3 LTR TURBO PETROL. FULLY TESTED & EXCELLENTWORKING MAZDA ORIGINAL HIGH PRESSURE FUEL INJECTOR PUMP COMPATIBLE FOR MAZDA 6 TURBO, MZR & CX-7 2006-13. COMPATIBLE FOR VARIOUS MODELS OF MAZDA FITTED WITH ABOVE ENGINE SPECIFICATIONS. Condition is Used. O ut of 2004 1.8 uk spec Car in good condition. ENGINE CODE: SH01 SHY1 SKYACTIV-D 2.2 LTR DIESEL. FULLY TESTED & EXCELLENTWORKING MAZDA ORIGINAL HIGH PRESSURE FUEL INJECTION PUMP COMPATIBLE FOR MAZDA 6, 3 SERIES, CX-5 & CX-7 2012-16. COMPATIBLE FOR VARIOUS MODELS OF MAZDA FITTED WITH ABOVE ENGINE SPECIFICATIONS. Part Number : PE0113350. NEW Genuine Mazda Parts from Mazda Main dealer. MK2 / NB MODEL / 1998 - 2005. AB10 TO AB36, AB39, AL, B, BA, BB, BD, BH, BL, BN, BR, BS, CA, CB, CF, CH, CM, CO, CR, CT, CV, CW, DA, DD, DE, DG, DH, DL, DN, DT, DY, E, EC, EH1 TO EH55, EH99, EN, EX, FK1 TO FK18, FY, G, GL, GU, HA, HD, HG, HP, HR, HU, HX, IG, IP, KA1 TO KA26, KA29 & KA30, KT, KY, L, LA, LD. Mazda 6 MK2 2.2 Diesel TS2 07-12 set 4x diesel Fuel Injector pump R2AA. Engine: 2.2 DIESEL. Make: MAZDA. Genuine MAZDA parts. Full working order. 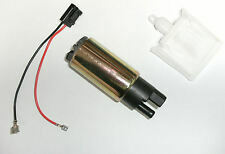 Fuel pump with housing & sender unit, MX-5 1.6 & 1.8 mk2, USED. Mazda part numbers BP5A1335ZC, BP5A1335ZD, BP5A1335ZE. For Sale:-Mazda 6 2.2cc Diesel Pump with part number:- R2AA13800 & 2940000620. Fits:- Mazda 6 models made from:- 2007 to 2011 with part number:- R2AA13800 & 2940000620. High quality products at amazing prices. We do not decode them prior to sale. Body panels and other vehicle body parts are used and will have normal tear and wear. Need more information?. We have 1000s of parts on the shelves from old Saxos till latest Bentleys. 2014 MAZDA 6 Injector Pump (High Pressure). This item has been removed from a: 2014 MAZDA 6. Year: 2014. Fuel type: Diesel. Make: MAZDA. Part Type: Injector Pump (High Pressure). Part Information Includes:-. MAZDA 5 / 6 2.0 DIESEL HIGH PRESSURE FUEL INJECTION PUMP 294000-0420 RF7J13800A. PART(S) ARE SOLD IN 'USED' CONDITION AND. ALSO FITTING IN OUR GARRAGE MY BE AN OPTION. CARRIAGE PRICE SHOWN IS FOR UK ONLY. This is the relay that lives under the dashboard, not the fuel injection relay that lives in the fuse box. Relay, fuel pump, MX-5 1.6 mk1,NA0166170, USED. Denso part no. 056700-6381. A new one is over £70.00 from Mazda. Mazda 2 DE MK3 (2011). Genuine Fuel Pump. Used Car Parts Direct - Wolverhampton WV1. Vehicle Details. Manufacturer Part Number - Does Not Apply. Other Manufacturer Part Numbers -. 5 Door Hatchback. 5-Speed Manual. FOR YEARS: 2004 (2004). BACS Transfer. Barrington Auto Salvage have over 25 years experience. We provide a large range of quality used car parts for all major manufacturers. Cash on collection. Credit / Debit card. 2006 MAZDA 5 Injector Pump (High Pressure). This item has been removed from a: 2006 MAZDA 5. Fuel type: Diesel. Make: MAZDA. 294000-0420 rf7j-13-800a one sensor snapped on pump. Part Type: Injector Pump (High Pressure). Fits:-Mazda 626 2.0cc 16v Petrol models made from:-1997 to 2002 with Part Number:- FP34FS2A. For Sale:-Mazda 626 2.0cc 16v Fuel Pump with Sender Unit. neutral or. We always try our best to help. The rest of the World = £23.65. Mazda 6 SL WAGON ESTATE(COMBI) 2009 2.2 D (185 bhp) MZR-CD (2.2L L4 SOHC 8V). Collection is available on all our parts. We will always try our best to help. Taken from. ITEM BEING SOLD: MAZDA MX5 MK2 2000 1.8 Fuel Pump with Housing and Sender BP5A. Car Make: MAZDA. Pickup can be arranged at my location in the Co.Armagh area. Give it a try and see how much you can save?. For Sale:-Mazda 6 2.0cc Di High Pressure Diesel Pump with part number:- RF7J13800A & 2940000420. Fits:- Mazda 6 2.0cc Di models made from:- 2002 to 2008 with part number:- RF7J13800A & 2940000420. High quality products at amazing prices. 2.2 Diesel Skyactive. Engine Code SH01. Mazda CX5 2012-2016 2.2 Diesel. Mazda 6 GJ 2016 2.2 Diesel. Mazda 3 BM 2013-2016 2.2 Diesel. We are Mazda specialist. Genuine Fuel Pump.